The Backhand In Tennis -- Why Is The Backhand Important? 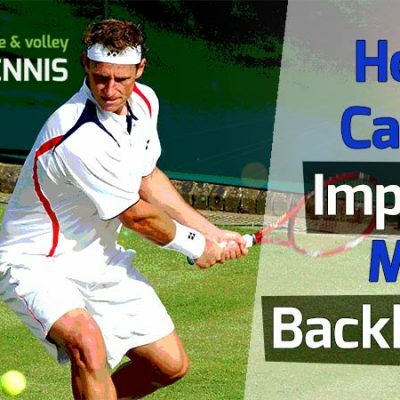 Home » Theory » The Backhand In Tennis — Why Is The Backhand Important? The backhand is a very important shot in tennis. Without a good backhand, a tennis player cannot reasonably expect to go very far as a tournament or professional player. When we’re on court and a tennis ball is hit to us, we generally have two choices: either hit it with a forehand or hit it with a backhand. The forehand is a shot hit on our dominant side. Most people find it easier to hit from this side of their body. For example, if a righty hits a forehand, the ball is struck on the right side of their body. For lefties, it would be the opposite. A left-handed player would strike the ball on the left side of their body. This would be their forehand. 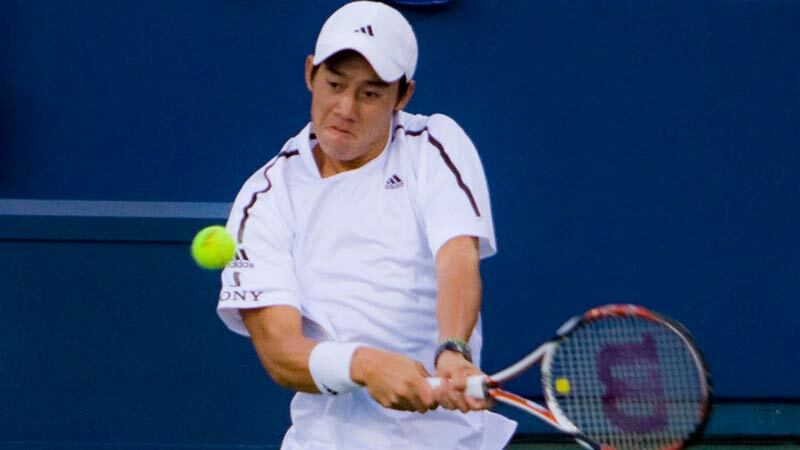 Most players, both at the recreational and professional level, run around their backhands to hit their forehands. This is because more racket speed and power can be generated on the forehand side. But sometimes the ball is hit so hard that we can’t run around our backhands. In this case, we are forced to hit the ball on our weaker side, which is the backhand. If our backhand is not powerful or consistent, we’re likely to lose a lot of points from that wing. Most good players can sense a weak backhand from their opponents within the first few shots of the match. Once good players start winning points on the opponent’s backhand, they’ll exploit it by hitting a large percentage of shots to it. This is why having a consistent and powerful backhand is so important to play tennis at the higher levels. Furthermore, on the return of serve, it’s very difficult to run around your backhand. When you face a strong server, you’ll be forced to hit a backhand, so you better know how to keep it in play. If you’ve been avoiding practicing your backhand, it’s likely costing you matches. Great players practice the backhand religiously. At a bare minimum, you’ll need to be consistent with your backhand. Once that’s gained, you can try to ramp up power. The best players know how to chip the ball, block it back, slice it, strike with power, and lob – all off the backhand side. What’s A Backhand In Tennis? For those who are new to tennis, I’ll take a minute to explain the tennis backhand. At its basic element, it’s striking the ball on the opposite side of your dominant arm. Let’s say you’re a right-handed player. If the ball comes to your left side, you’ll be forced to swing at the ball on the left side of your body. Simply by doing that, the shot is considered a backhand. All backhand shots fall into two categories: a one-handed backhand and a two-handed backhand. With the former, the player uses only one arm (his dominant one) to swing at the ball. Players with one-handed backhands in today’s game include Roger Federer, Dominic Thiem, Richard Gasquet, and Stan Wawrinka. Players who use a one-handed backhand at the pro level are more rare than two-handed backhand players. With the two-handed backhand, a player will use both arms to swing at the ball. This stroke is almost akin to a baseball swing, but not exactly. Most of the players on the professional tour (especially women) use the double-handed backhand in their tennis games. Some of the better two-handed backhand players in today’s game are Novak Djokovic, Kei Nishikori, Rafael Nadal, and Alexander Zverev. In past years, Andre Agassi and Jimmy Connors used the two-hand backhand to great success. 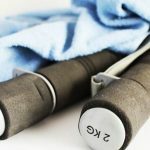 What Is The Backhand Grip In Tennis? The backhand grip is dependent if a player uses one or two hands to hit the ball. And even then, variations of the grip will occur. 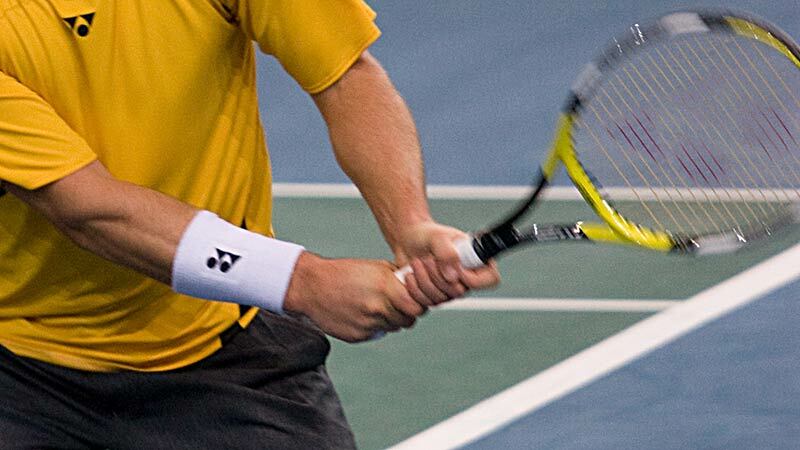 The most common grip for the one-handed backhand is the eastern backhand grip. This has the player placing his index knuckle on bevel 1. Some call it the “motorcycle” grip because it looks like you’re holding handlebars. This is the grip I favor most for my one-handed backhand. 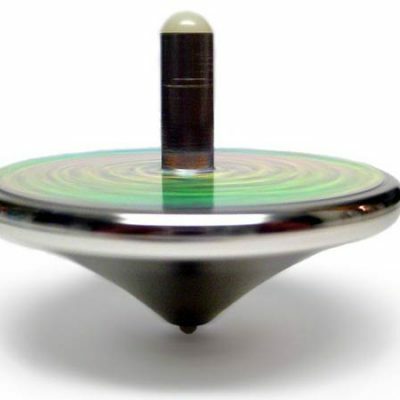 I believe it gives you a nice mix of spin and power. If you are just starting out in tennis, I would recommend using this grip if you choose to hit a one-handed backhand. The most common grip for the two-handed backhand is to have your dominant hand in a continental grip. The dominant hand is the one that hits the forehand and is on the bottom of the racket. If you’re a righty, you would assume the continental grip by lining up your right index knuckle on bevel 2. This hand is at the bottom of the racket. 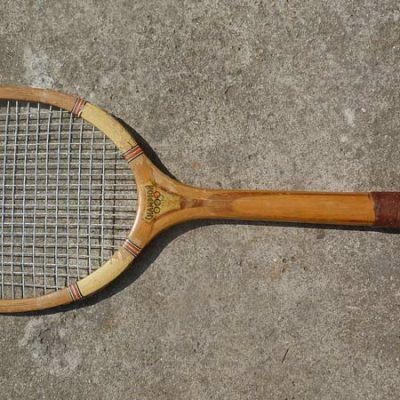 Next, you would comfortably grip the racket with your left hand. As a guide, your left index knuckle should fall around bevel 6. This hand goes on top of your dominant hand but does not overlap it. Variations on the two-handed backhand are possible, but I suggest starting out with the dominant hand on bevel 2 and the nondominant hand on bevel 6. This grip will allow you to make solid contact on the ball and provide topspin. Using a two-handed backhand grip is a little easier to hit with than a one-handed backhand grip for beginners. This is primarily because your dominant hand does not have to move as far to go from the forehand to backhand grip and vice versa. If you hit with an eastern forehand grip (bevel 3), then you just need to go one bevel over for your two-hander. This makes it quick and easy to change grips. However, one-handers need to move two bevels to change grips from the forehand to the backhand and vice versa. 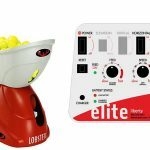 If you’ve been playing tennis since you were a kid, the grip change should be automatic. But if you’re an adult learning the game, the grip change could take a long time to get used to. For this reason, I recommend kids and adults learn the two-hander. What Hand Should Be On The Bottom Of The Racket For A Backhand? The dominant hand is always on the bottom of the racket in the two-handed backhand. If you hit a one-handed backhand, the dominant hand will be the only hand on the racket during the swing. For example, if you’re a right-handed player, only your right hand will be on the racket. The left hand will only be on the racket (gripping the throat) during the power position and take back phase. Once the forward swing is initiated, the left hand comes off and is placed behind the body for balance during the stroke. For two-handed backhand tennis players, both hands will be on the racket. The dominant hand always remains at the bottom of the racket. The two hands should have no overlap. Some players place the hands close together and some have a slight space between the hands. 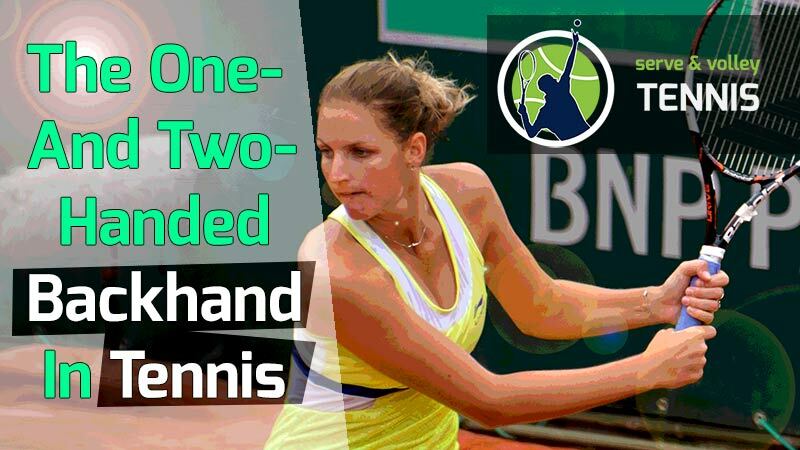 Is A One-Handed Backhand Or Two-Handed Backhand Better? Neither backhand is far superior to the other. There are pros and cons to each type of backhand. I can tell for certain almost all the kids learning tennis today are being taught the two-hander. This is because the two-handed tennis backhand is easier to learn, easier to hit, and is better for return of serve. Some children seem to even pick up the two-handed backhand faster than the forehand. This is probably because two hands on the racket equals more control, especially when first learning. For this reason, I only teach the double-handed backhand to my younger students. The one-hand backhand is becoming a rare shot in professional tennis. However, if you play at the club level, you may see a lot of people using the one-hander. That’s typically because most club players are older men and women who learned the one-handed backhand when it was more in vogue. Most of these players learned tennis in the 60s and 70s. In the last 20-30 years of play, we can see that the two-hander is a better shot to teach youngsters. It has also proved more effective in the professional ranks, especially for the women. Despite that, the one-handed backhand does have some advantages. The biggest advantage, in my opinion, is power and reach. With the one, you have the freedom to swing out and drive the ball better. The one-handed backhand is also more versatile. You can use the wrist to create better angles, generate more topspin, and it allows players to hit balls further from their body. Another key advantage is the ability to disguise the slice and drop shot slightly better than the two-hander. I’ve personally used both the one and the two in my game, but the power in the two just doesn’t compare to the power of the one in my opinion. The drawback of the one-handed backhand is numerous though. There are so many, I’ll list them out in bullet form below. The timing must be impeccable to hit the one-hander. On the two-hander, you can get away with swinging late. 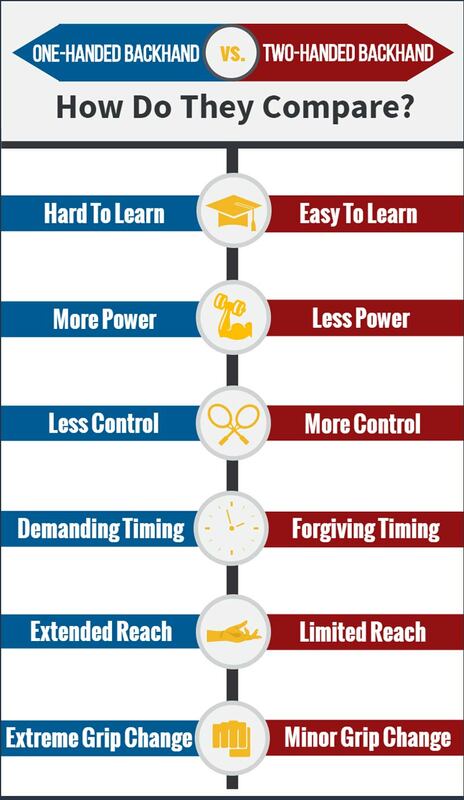 The one-hander has a much longer learning curve than the two. Return of serve is more difficult with the one-hander. Hitting high shots (over the shoulder) is more difficult with the one-hander. It can be tiring using the same arm to hit 100% of all your shots. With the two-hander, the left-hand can do a lot of the work. The grip change is more extreme on the one-hander, making it easier to miss the grip and hit a bad shot. In general, the one-hander offers less control than the two. The bottom line for me is that the two-hander is better. However, there will always be kids that want to learn the one-hander. I have also noticed that men and women who are girthy do better with the one-hander. This is because the one-hander allows more freedom to hit away from the body. When you’re stocky, muscular or overweight, it can be difficult to use the two-handed backhand. I’ve seen this firsthand with the clients I coach. I, therefore, recommend the one-hander to most people of this body type. How Do You Improve Your Backhand In Tennis? It’s been said that golf and tennis are the only two sports you can play your entire life and never improve. Not surprisingly, I find this to be true. The same club players play at the same level decade after decade. I’m not a golf expert, but I can see how the same can be true for that sport. This is because both sports require a lot of skill when hitting the ball. Except in tennis, there are a lot more variables. 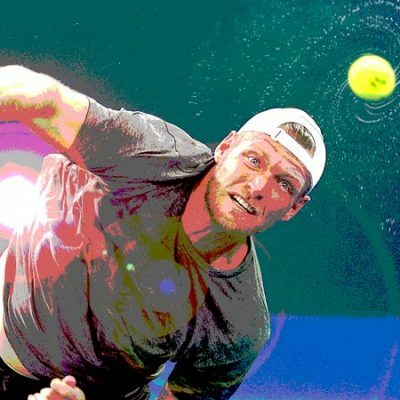 If you’re going to improve your backhand in tennis, you need to know the correct technique from the beginning. Now if you’ve been playing for a while and you want to make a substantial improvement to your backhand, you may just need to scrap your whole stroke. Here is what I would suggest for people who have $100 to spare, whether they’re beginners or experienced players. Take a couple of lessons from a very good tennis pro. Let him or her show you the correct backhand technique. Video the lesson and do nothing other than follow exactly what the pro shows you. Practice the stroke without hitting the ball. Do this over and over – at least a few hundred or thousand times. This is called shadow stroking. Once the stroke is ingrained in your mind, take to the court and hit slow balls in a practice session. If you have someone that can hand toss the balls, that will work well. You’ll want plenty of time to set up and practice the stroke to get the feel of it. As you do, you can hit faster and more difficult shots. Ultimately, you would use the stroke in rally practice and then a practice match. All this should take place over weeks or even months, depending on how much you play and your talent level. You need time to build up the stroke. Video your stroke every chance you get and make sure the fundamentals are in place. Resist the temptation to change anything. One of the biggest reasons players fail to improve their backhand or any stroke, is they don’t stick with it long enough. I see it all the time in the lessons I give. People get discouraged if they don’t get something right away. This is mostly with adult students; kids seem to ironically have more patience. Adults often get frustrated if they don’t hit well after a few minutes of time and either blame themselves or me (the coach). Meanwhile, we’ve only been working on the stroke for a very short time. I think a lot of beginner and intermediate tennis players don’t realize that tennis takes a long time to get good at. In order to really improve, you need to not just hit a few hundred backhands, but a few thousand. This is the way to improve your tennis backhand, whether one-handed or two-handed. I would also implore you to watch the professionals in person and on TV. Look at the way they hit their backhands and let it sink in to your subconscious. 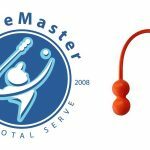 What Are Drills To Improve Backhand In Tennis? If you’re an intermediate-to-advanced player, several great drills exist to help improve your backhand. I’ll list them out for you below. I use them with my students and to improve my own game as well. If two righties are playing, stand on the ad side of the court and simply hit to each other’s backhands. If done correctly, you’ll be hitting inside the singles lines and only to each other’s backhands. Two lefties can hit from the deuce side. If a righty and lefty are practicing, both players should start on the ad side. The righty will hit backhands while the lefty hits forehands. Then change to the deuce side and the righty will hit forehands and the lefty backhands. All balls are going cross-court. This is a difficult drill to do with consistency, but it will really improve your backhand. My tennis coach would always utilize this backhand drill in our practices. In this drill, one player will be at the net volleying. The other player will be a bit behind the baseline around the middle of the court. The net person will try to hit the ball back to the opposing player’s backhand on every volley. The baseline player will optimally hit backhands right to the net player on every shot. You can also make this a game. After two hits by each player, the baseline player will then attempt to pass the net player – lobbing is not allowed. The net player can try to put the ball away if possible. Play a game until 11. In this drill, you’ll be standing on the baseline around the middle of the court. Have someone toss or hit a ball so that you move at least 8-10 feet to hit your backhand. Once you hit your backhand, cross-step or shuffle back to the middle. Repeat the whole sequence 10 times and then rest. You can also do this same drill backing up to hit a backhand and then returning to the baseline. Repeat 10 times and then rest. And you can do it for coming forward to hit a backhand as well. 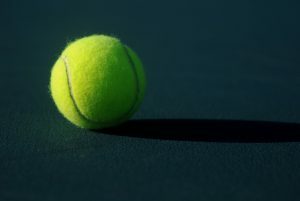 Have someone toss a ball so that you must come forward to hit a backhand. Then retreat back to the baseline and repeat 10 times and rest. If you practice all three directions (to the side, back, and forward) you’ll be able to move in any direction for the backhand with skill. Have someone toss the ball close by and try to hit the ball out of the air with your backhand. This is called a swinging volley. You can perform this drill near the baseline if you like. The point of this drill is to increase racket speed and improve hand-eye coordination. 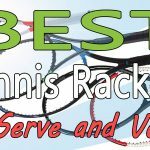 What Are The Best Tennis Backhand Drills For Beginners? 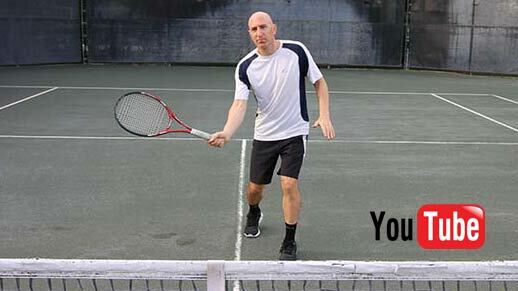 The best tennis backhand drills for beginners are simple and easy. I’ll list them out below so you can practice if you’re at a beginner level. Start with drill 1 and progress to drill 3. Drills 2 and 3 require a person to feed you the balls. A tennis ball machine can be used in place of a person. 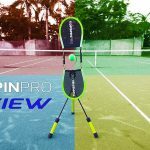 Practice hitting for 10 minutes per day on the TopSpin Pro. If you don’t have this tennis learning tool, hit the windscreen on a fence and follow through by moving the racket up. The point of this drill is to learn how to swing to contact and brush on the ball. It’s vital to start your swing from underneath the level of the ball or point of contact. In this drill, you’ll stand on the baseline. Another person will be standing nearby, on your backhand side. That person will drop feed you one ball after another. This means they stand close to you and just drop the ball to your backhand side. You let the ball bounce once and then hit it with your backhand. You can practice this shot hundreds of times per practice session. It allows you to work on your backhand without having to move to the ball. You just stand in one spot and hit your backhand. This isolates the stroke so you can focus only on it. In this drill, you stand by the baseline. Another person will hit balls to you from the other side of the court – about 7-10 feet in back of the net. The person feeding the balls should use their racket. 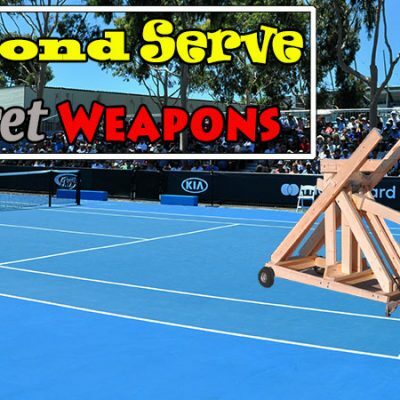 Have them hit the balls to your backhand side. You’ll hit them on one bounce, just like you would in a rally. You may have to move a bit to hit the ball, but not much. You can practice hitting as many balls as you like. Once you start hitting well, aim up the middle and then to the corners. Who Has The Best Tennis Backhand? This is an excellent question. I am going to provide two answers – who has the best one-handed backhand in tennis and who has the best two-handed backhand in tennis. When it comes to answering this question, I used the following criteria to formulate my answer. 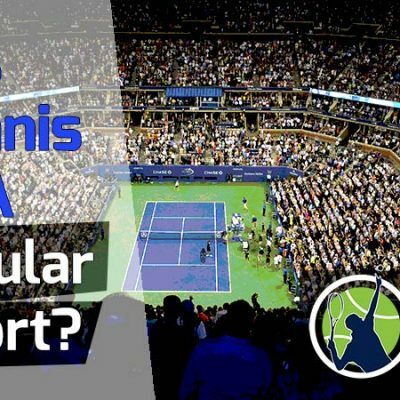 I’ll give you my answers for both the men and women on the current pro ATP and WTA tours. When it comes to the men’s side of the equation, I’m going with Novak Djokovic for the two-hander. He may not have the most powerful two-handed backhand in tennis, but he scores the highest marks for every other criterion. Time and again, Djokovic has proved his two-hander can withstand any barrage. He can hit the low shots, the high balls, the on-the-run shots, and returns better than anyone in the game. In second and third place, is Kei Nishikori and Alexander Zverev, respectively. Some might be surprised I mentioned Zverev. His backhand is quite strong and consistent. Just watch his amazing performance at the 2018 ATP Finals and you’ll see why I put him third. For the best one-handed backhand on the men’s side, this one was challenging. It’s difficult to argue with Roger Federer’s backhand being the best since he’s achieved the most with his one-handed backhand. Even more impressive is that at this late stage of his career, he’s improved his backhand. It may not be the most reliable one-hander in the game, but it’s the most versatile. 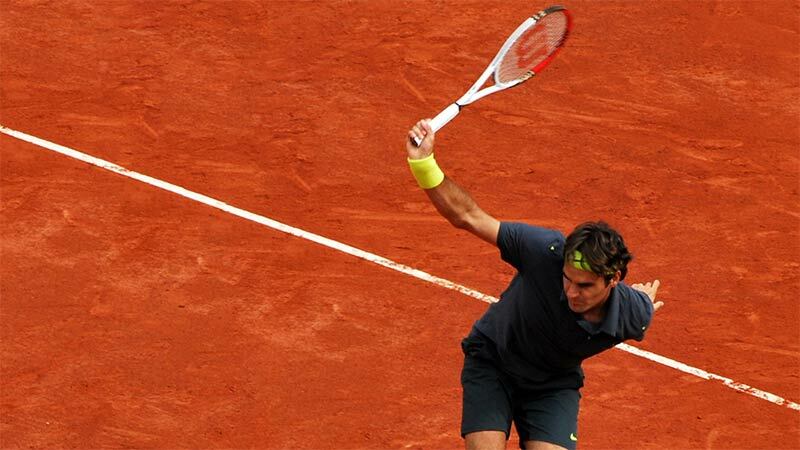 I’ll give the nod to Roger for best one-handed backhand on tour – and maybe ever. Second place was difficult to decide. I think any of the following three players can smash the heck out of their backhands on any given night. They are Stan Wawrinka, Dominic Thiem, and Grigor Dmitrov. For the women, it was a difficult choice on the two-hander. No, make that an impossible choice. This might sound like a cop-out, but I can’t decide. There are at least 25 women that all hit great two-handers, most notably Serena Williams, Simona Halep, Sloan Stevens, Naomi Osaka, and Karolina Pliskova. The one-handed backhand was a lot easier since so few women hit it. Of the current tour players, my vote goes to Carla Suarez Navarro. She has a beautiful one-handed backhand. It’s also her best shot. I hope you enjoyed this post. 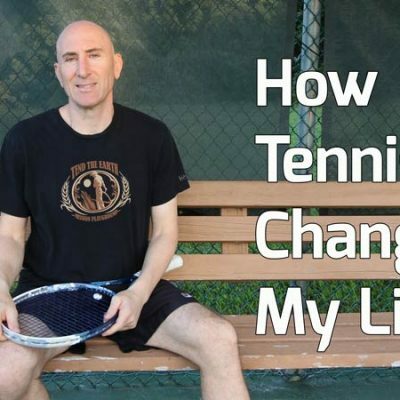 Check out my other blog posts for more cool tennis talk and don’t forget to visit my youtube channel. If you have any questions for me, leave them in the comment section below.